Can You Save with ‘Smart Home’ Technology? • Providing Convenience – Home automation products offer a world of convenience when it comes to performing daily tasks, which can save you time (and money). From controlling your electronics remotely using your smartphone to pre-heating your shower (or your oven) in bed or from your car, there are numerous ways smart home technology can make your life easier. Start by making a list of features you think might benefit you the most, then compare products that are available on the market. There are a variety of solutions and services to get you connected. •Offering Better Protection – Three-quarters of U.S. homeowners in a recent survey said they were motivated to purchase smart home technology to keep their families safe and comfortable.3 A smart home security system can provide around-the-clock surveillance you can monitor remotely from your fingertips. There are plenty of DIY options you could install yourself – such as a doorbell camera, motion lights or door sensors, or you could let a trustworthy professional provide education and installation. 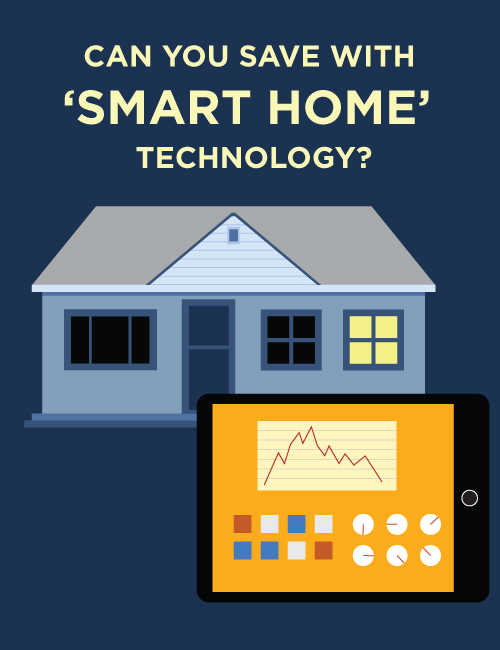 •Increasing Your Property Value – Having smart home features, like a newer security system, a smart thermostat or a tankless water heater can make your property more attractive to a potential buyer. A recent study found more than 80 percent of homebuyers would opt for a home equipped with smart technology over a comparable home without.4 So, if you’re thinking of upgrading to smart home automation, think of it as a smart long-term investment. This entry was posted on Wednesday, September 13th, 2017 at 10:13 am	and is filed under Primerica. You can follow any responses to this entry through the RSS 2.0 feed. You can leave a response, or trackback from your own site.